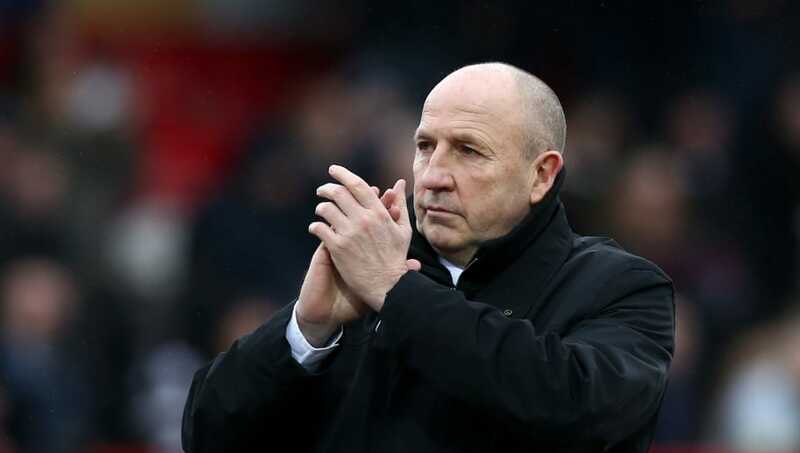 ​Accrington Stanley manager John Coleman has claimed he is 'falling out of love with football', following his side's elimination from the FA Cup, at the hands of Championship side Derby County. The Lancashire outfit were beaten 1-0 thanks to Martyn Waghorn's 78th-minute strike, which saw the Rams book their place in the fifth round of the competition, after Daniel Barlaser was dismissed having received two bookings. The on-loan ​Newcastle United midfielder received two yellow card offences in each half for mis-timed challenges and saw red in the 59th minute, with Coleman claiming his side were unfairly punished by referee Jonathan Moss over the course of the match. As quoted by ​The Independent, Coleman said: "I feel physically sick. I am rapidly falling out of love with football. Each week you get stiffed by a decision. It’s a tackle, it’s not dangerous. It happened two minutes before on our lad and the referee said it was a coming together." Irate with the decision, Coleman also admitted that certain instances of poor officiating make him want to stop coaching entirely, before wishing their victorious opponents well going forward - albeit with scepticism. "I sometimes feel like packing in," he remarked, "Good luck to ​Derby, I hope they go on and win it but I can’t see it." Despite the dismissal, the Stanley boss insisted there were positives to take from the result, suggesting that the complexion of the game hadn't changed the team's performance, despite playing the remaining half-hour with ten men. "The best thing I can say is that you couldn’t tell we were playing with 10 men for the last 25 minutes. Even the most ardent Derby fan would say they didn’t deserve a win, a draw at best."